The Trinidad and Tobago relay team has moved up to first place in the men's 4x100m relay in the 2008 Beijing Olympics after Jamaican sprinter Nesta Carter tested positive for doping. The news was announced in a BBC report on Tuesday. This means Jamaican star athlete Usain Bolt will no longer have his winning "triple treble” of Olympic gold medals. Bolt has now been stripped of one of his nine Olympic gold medals. The IOC says Carter tested positive for methylhexaneamine, a banned stimulant, in re-analysis of samples from the 2008 Beijing Olympics. Carter and Bolt were teammates on the winning 4x100-meter relay team. The IOC says "the Jamaican team is disqualified," and "the corresponding medals, medalist pins and diplomas are withdrawn and shall be returned." Japan's relay team will now be awarded the silver medal, while Brazil will be awarded bronze. President of the Trinidad and Tobago Olympic Committee (TTOC), Brian Lewis, warned however that so far, the Committee has not yet received any official notice of the upgrade to gold. "At this point in time we are not in receipt of any official correspondence from the International Olympics Committee (IOC) in respect of the Trinidad and Tobago relay team. But we have noted that they have taken the decision to disqualify (the Jamaican relay team) and have asked them to return the medals." Lewis said it is always upsetting when doping incidents occur. "It is always regrettable when an athlete from any country is embroiled in such situations, and moreso (athletes from) the Caribbean. We certainly sympathise with all Caribbean athletes...however we must focus on the principles and standards of the Olympic charter and the IOC's anti-doping rules." He added that it would be irresponsible to speculate at this time as the IOC has its own protocols and procedures as it relates to the awarding of medals. "I would imagine that that they would have to ensure that all is well and then we would receive the official correspondence, (but) until we receive that correspondence then we cannot speculate." 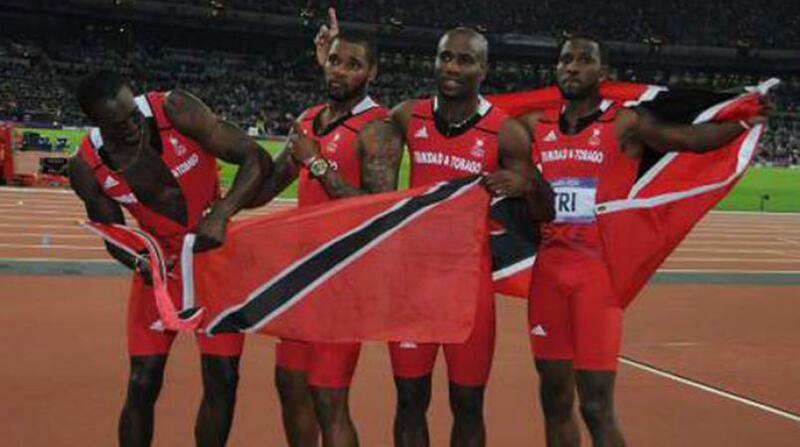 This is not the first time T&T has moved up in the ranks due to a case of doping - the T&T men's 4x100m relay team was awarded silver in the 2012 London Olympics following the doping conviction of US sprinter Tyson Gay in May 2015.